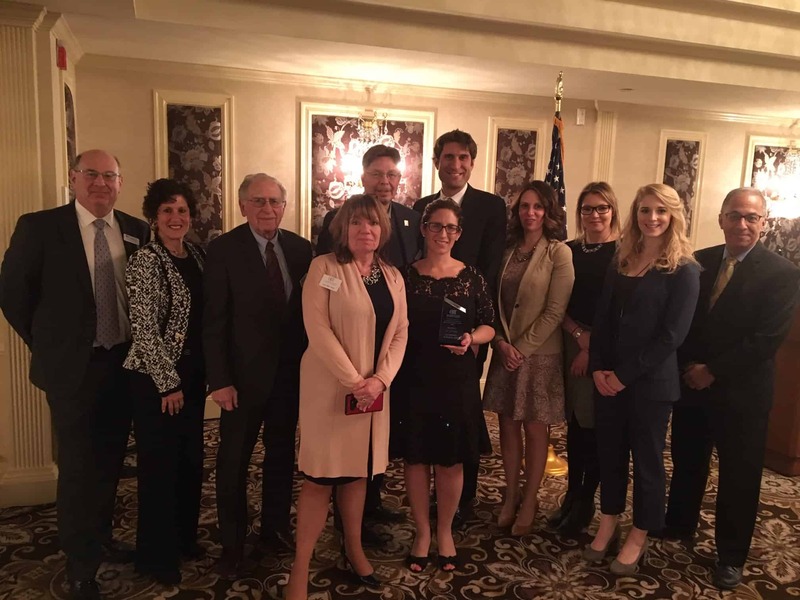 The law firm of Jacobowitz and Gubits (J&G) was selected by the Orange County Chamber of Commerce to receive the 2019 Business of the Year Award. The firm received the award at the Chamber’s Best in Business Awards Reception on March 14, 2019 at Anthony’s Pier 9. Pictured here from left to right: J&G attorneys Gary Schuster, Marcia Jacobowitz, Gerald Jacobowitz, Lynne Cione (President, Orange County Chamber of Commerce), Mark Krohn, Michele Babcock, Michael Wagner, Kelly Pressler, Andrea Dumais, Marissa Weiss, and Robert Lefland. Jacobowitz and Gubits, LLP is honored to be the recipient of the 2019 Business of the Year Award. We are proud to celebrate over 50 years of providing the highest quality legal services to individuals, families, businesses, non-profits and municipalities in the Hudson Valley and beyond. With over 20 attorneys who practice in over 35 areas of law, we remain one of the largest full-service law firms in the region. J&G continues its long-standing tradition of contributing to the local community by supporting over 50 local non-profits and community organizations. “Jacobowitz and Gubits has a long and outstanding reputation for not only providing premier legal services to the community, but also for being heavily invested in the community. They are a sterling example of corporate responsibility and it is our privilege to honor them for it” said Lynn Cione, President of the Orange County Chamber of Commerce. Jacobowitz and Gubits, LLP, was founded in 1968 to provide sophisticated legal representation to businesses, individuals and municipalities throughout the Mid-Hudson Valley and the state of New York. Jacobowitz and Gubits, LLP has grown into a practice with 20 attorneys and a full staff of paralegals and legal assistants to service a growing and dynamic client base. Jacobowitz and Gubits, LLP, handles a wide range of legal issues including business litigation, commercial real estate, elder law and estate planning, immigration law, municipal law, land use and zoning, equine law, health care law, personal injury, employment, family law, and criminal law. Jacobowitz and Gubits, LLP has two office locations in Walden and Monticello. For further information on the firm of Jacobowitz and Gubits, LLP please visit www.jacobowitz.com or call (845) 778-2121.